Calls mounted for a bump stock ban after the Las Vegas shooting, and the Justice Department said in December it would again review whether they can be prohibited under federal law. Trump told officials to expedite the review, which yielded more than 100,000 comments from the public and the firearms industry. 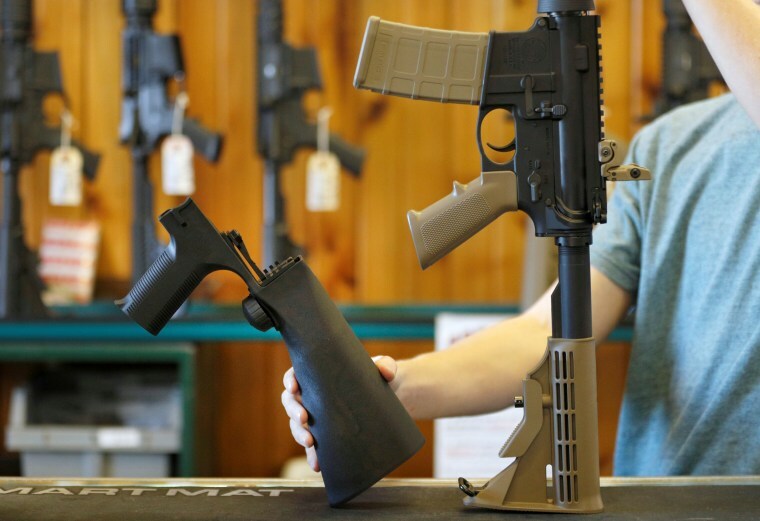 Many of the comments came from gun owners angry over any attempt to regulate the accessory, a move they view as a slippery slope toward outlawing guns altogether.